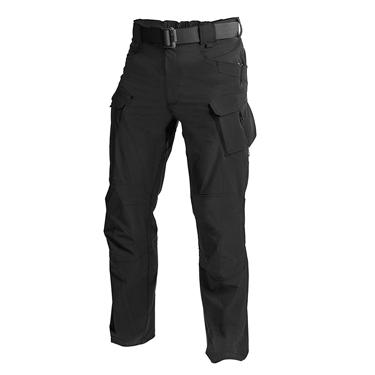 ​Looking for a great pair of tactical pants? If you are anything like us, you're pretty rough on your tactical wear. So when looking for a pair of pants (or two) they need to be durable, while offering the ability to move comfortably. They should also give you the ability to take action as quickly and effectively as possible. To help you find a pair of tactical pants that meet your specific needs. Made of 93% nylon and 7% spandex, the Helikon-Tex OTP Outdoor Tactical Pants offer a DuPont Teflon coating and 4-way elastic fabric, providing both durability and comfort. 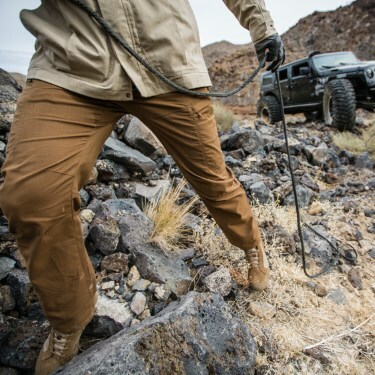 Lightweight, breathable and moisture wicking, these black tactical pants deliver comfort and an increased range of motion during long and short adventures. A patented pocket arrangement for keeping key items secure and organized is an added bonus. Under Armour's Storm Convert pants are made of an ultra-durable ripstop fabric which can withstand the elements you may encounter in the field. 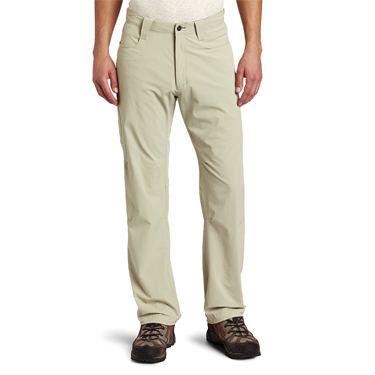 The DWR finish offered by these pants will repel water without the pants losing their ability to breathe. The waistband is stretch-engineered which improves both mobility and comfort during journeys of any length. 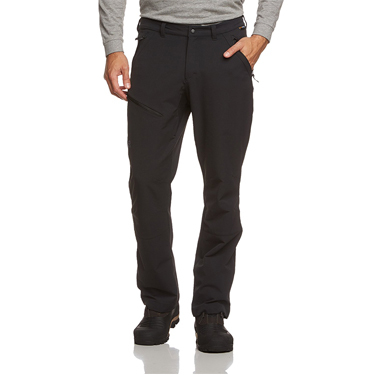 The Jack Wolfskin Men’s Activate Pants are durable with two-way stretch softshell fabric that is both wind and water resistant. 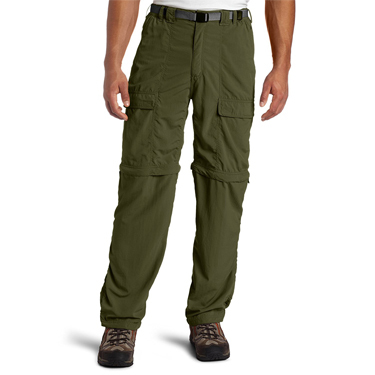 Offering two front pockets, a back pocket and a leg pocket these survival pants include an elasticated waist and a loose, wide leg cut. The back of these regular-wasted pants are raised a little and the acrobat cut offer the greatest amount of movement for all of your adventures. 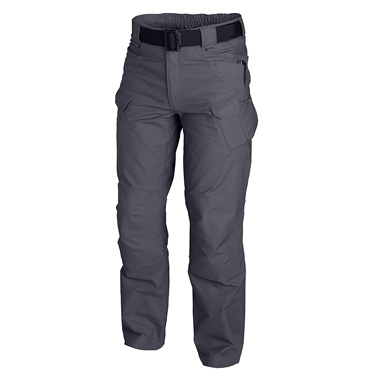 Ferrosi pants by Outdoor Research are made of nylon and spandex stretch-woven ripstop that is both abrasion and wind-resistant, producing a pair of pants that are strong enough to handle the toughest of alpine and rock environments. Offering a thigh pocket and two back pockets that zip, these survival pants will keep your necessities secure while you explore. Highly-breathable, these are a lightweight option that provide for smooth movement during the outdoor adventures you love. Made of flex-tac Mechanical stretch canvas, these Apex pants provide the ultimate durability while at the same time allowing for comfort and mobility. 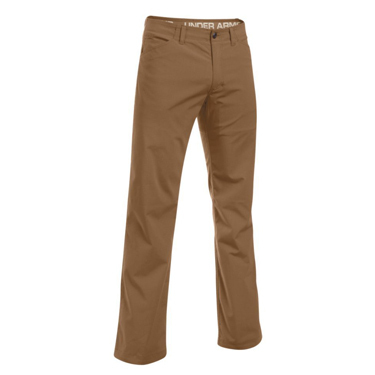 Treated with Teflon, these pants by Apex will deflect stains, spills and dirt. A flexible comfort waistband enhances your comfort, as do the articulated knees that promote movement. Plenty of pockets (front hip and thigh) some with zippers, provide the space and security you need for important items to be safe while you explore the outdoors. 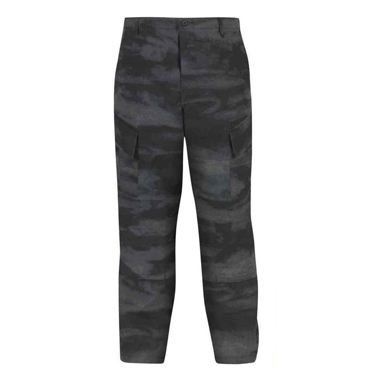 The Dickies Men’s Tactical Relaxed Fit Stretch Ripstop Cargo Pant fits slightly below the waist and includes roomy cargo pockets with a built-in mag pouch. An L-shaped front pocket offers a place to clip your knife and there is also a pocket for your cell phone. 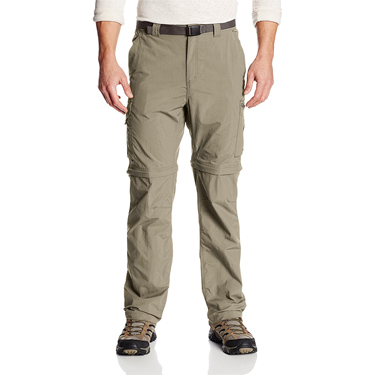 These survival pants offer extra room in the seat and thigh areas to ensure your comfort during a full day of activity. DuPont Teflon finish deflects water and stains. 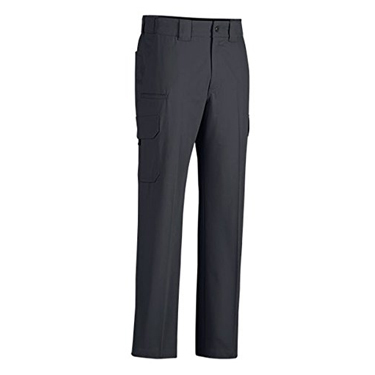 Durable and comfortable, the Propper ACU Trouser is made of NIR compliant nylon and cotton ripstop. Offering external openings for knee pads that include hook and loop closure, these rugged outdoor pants are versatile for a variety of tough situations and felled seams throughout increase their durability. With eight pockets, you will have plenty of places to store the things you want easy access to. 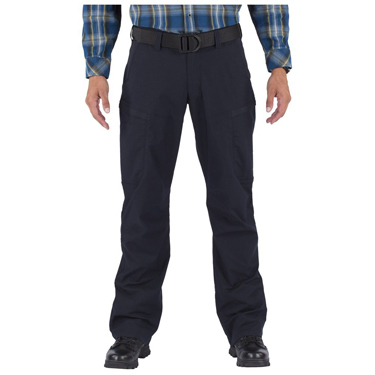 Made of polyester, cotton and spandex, the Helikon-Tex UTP Urban Pants do well in a variety of climates and offer enhanced stitching for increased durability. The comfort-fit waist is stretchable and internal pockets for knee pads or other padding further ensure your comfort. Included in this tactical wear are 12 load-bearing pockets spread among multiple places, allowing easy access to the things you need for your outdoor adventures. Made of 100% nylon, the Silver Ridge Convertible pant offers zip-off legs for an easy conversion to shorts with a 10-inch inseam. Offering Omni-wick advanced evaporation technology, these outdoor pants will remain dry and comfortable through the length of your adventure. Side cargo pockets and rear flap pockets offer space for items you want close at hand and Omni-Shade UPF 50 sun protection will help shield you from the sun. These White Sierra Convertible Pants are made of 100% nylon and in addition to being water repellent, they include UPF 30 sun protection to minimize your exposure to UVA/UVB radiation. The legs of these breathable pants easily zip off and side zippers on the cuffs allow them to slip off quickly over your shoes or boots. Two front slash pockets, two cargo pockets and a back pocket offer plenty of space to keep essential items handy.